Americans Choose Playing the Lottery! Don’t Disturb, We’re Playing the Lottery! Have you been wondering about the favorite pass time activity of Americans? Make a guess. Is it reading? Nope! Playing video games? Going to the movies? Listening to music? Watching sports on TV? We hate to disappoint you, but if you’ve made any of these guesses, you’re wrong. 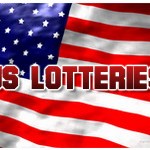 The one thing Americans enjoy much more than all the activities already mentioned is… brace yourself… playing the lottery! Americans in the 43 states that have lotteries spent a whopping amount of 70.5 billion dollars on tickets in 2014, The Atlantic reported. The sum is much bigger than what Americans have spent on books, movie tickets, video games and going to sporting events. Combined! Do you know what this means? 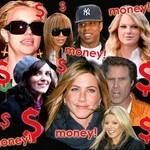 It means that the total sum equals to 300 dollars spend by each adult on playing the lottery. That’s huge! In comparison, people spent only 17.8 billion dollars on sport event tickets, 14.6 billion dollars on books and 13.1 dollars on video games. The combined expenditure for all other kinds of entertainment is 63 billion dollars, which still falls 7.5 billion dollars short on the sum dedicated to playing the lottery. Needless to say, there are big differences in the sums spent on lottery tickets in each of the states. The biggest lotto spenders live in Rhode Island. The expenditure on lottery tickets there is nearly 800 dollars per capita. It’s interesting to point out that ever since 1974, the Rhode Island Lottery has given out prizes totaling more than 21.8 billion dollars. Perhaps that’s the main reason why Rhode Islanders like their lotto so much. 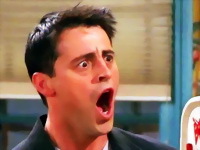 People in South Dakota come second with more than 750 dollars per capita spent on playing the lottery. Massachusetts and West Virginia also rank among the places where the average expenditure on lottery tickets is more than the overall average of 300 dollars per person. The ones that really don’t believe in their luck and don’t spend an awful lot on lottery tickets live in Montana, Oklahoma and North Dakota. These states have annual per capita spending on lottery tickets under 50 dollars. The statistics shed some light on another very interesting phenomenon. The poorest one third of all households in the US is responsible for the purchase of more than half of the lottery tickets. At least this is what a Duke University study found out in the 1980s. This phenomenon is observed till present day. People living in the poorest counties and neighborhoods are the ones that have their hopes up the highest. When asked why they play the lottery, the poorer participants said that they were motivated by the possible financial gains. For people having a higher income, playing the lottery was mostly done for fun. According to a 2008 experiment that was presented in the Journal of Behavioral Decision Making, this phenomenon is nothing but logical. Poorer people are very likely to play the lottery because in the case of such games, everyone has the same chance of winning big money. The chance doesn’t depend on income, professional occupation or social status. For many, winning the jackpot is seen as a way out of poverty and it’s the main reason why people keep their hopes high. It’s All about the Winning… or is It? Sociologists have long been interested in finding out why people play the lottery and what their expectations are. It’s interesting to point out that very few people actually have expectations of winning a lot. In fact, many lottery players aren’t disillusioned at all. 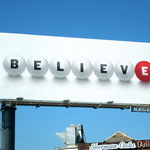 According to a 2013 Vision Critical study, 75 percent of lottery players believe that they’ll eventually win something. One in four people buying tickets, however, has no expectations whatsoever. This fact once again suggests that winning money isn’t everything when it comes to choosing a combination of numbers and buying a lottery ticket. Most people have a very realistic idea about their chances of ever hitting the jackpot; still they get some pleasure and a thrill out of awaiting the draw and figuring out whether they’ve won something. From 2009 to 2014, the amount of money that people have spent on playing the lottery went up from 58.25 billion dollars to 70.5 billion. Chances are that unstable economic conditions and political uncertainty across the globe stimulate people to test their luck. Chances are that more and more individuals are discovering the pleasures of the lottery. Whatever the reason, one thing is certain – buying your own ticket and getting your hopes up is definitely an exciting experience that everyone should try at least once.